In November 2016, Larsen & Toubro, India’s biggest engineering firm, shed 14,000 employees, or 11.2 per cent of its workforce, in one of the biggest corporate retrenchment exercises in recent times. The $16-billion giant explained it as an attempt to “right size” its strength in the face of “business slowdown caused by digitisation of operations”. What’s happening? When the topper gets a C+ in his or her grade sheet, the teacher pauses to ask why. It is that C+ moment in the world of work. IT jobs had it all: money, gadgets, tenures abroad and everything else that middle-class India dreams of. If you think the disruption is a problem for the tech sector and techies alone, think again. Every sector – from farming to fashion – is getting redefined by digital technology. So, every sector is a tech sector. Business models will be redefined by digital tech. If you are not doing it, your competitor will force you to. Traditional models of work, workers and workplaces are getting replaced with new formats that decision-makers and leaders need to understand. The pace of change is exponential. Airbnb, which started in August 2008, has a market capitalisation of $31 billion and is in more than 65,000 cities in close to 200 countries. The market capitalisation of Hilton and Marriott is around $20 billion and $34 billion, respectively. Every company expects productivity improvements of about 30-40 per cent every year. The only way to deliver it is to use digital technology: Artificial Intelligence, 3D printing, Virtual Reality, Augmented Reality, chatbots and so on are now terms every business has to grapple with. The IT major Wipro achieved productivity worth 12,000 people over 140 customer engagements in 1,800 HOLMES bots in IT services. Pay-as-you-go makes it possible to use services without owning assets. For the enterprise, software and hardware no longer need to be owned. It resides in the cloud and everything from upgrades, applications and maintenance can be distributed to any company around the world. From hotel rooms to movies to relationships, everything is moving to a subscription model. Technology is making online work similar to local work, with added speed, cost, and quality advantages. The new workplace is heavenly – it is in the cloud. Talent communities are becoming the new office where everyone hangs around. To be able to keep pace with fickle customer taste, companies will need to run fast and be agile enough to change direction all the time. That can happen only when a team of experts come together to accomplish an outcome even as they race against the stopwatch. That means we may need AI-powered platforms to pull together individuals into the dream team that will succeed. Performance appraisals have been historically designed to evaluate individuals while employers pasted slogans of teamwork and collaboration in the cafeteria. We may need new approaches to hiring, performance management, reward and recognition. It is interesting to see that Apple is building a physical office at a cost of $5 billion even as the Apple Watch makes it possible to read e-mail, get updates, make calls and so on. On the other hand, entrepreneurs are opting for co-working spaces. It is the pay-per-use version of an office and can be scaled up or down as needed. The implications are clear. We have to rethink what it means to work in a workplace. Can You Compete With This 5-Year Old? Technology has blurred the line between what is possible online and in the physical workspace. It is making online work similar to local work, with added speed, cost, and quality advantages. It is possible to be location-agnostic. Work can be sliced and diced like a pizza and shipped to the expert. 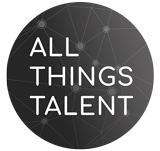 In a hyperconnected world, the world’s talent pool is on tap for everyone. Brands do not need celebrities to endorse their products. Employees are the greatest brand ambassadors of the brand. Employees’ negative feedback on job sites can impact the quality of talent the employer can reach out to. In the physical world, you need to be 18 to be employed. Not so on social media, where influencers are getting younger and younger. Nikki Christou makes YouTube videos about baking and make-up for her 2 million followers. She is 12 years old. But not everyone is that old. Five-year-old Ryan has almost 5 billion views on his YouTube channel Ryan Toys Review. That’s way more than what some movie stars can claim. Career-hopping is the hot new trend. My father worked for one employer. I worked in HR for several employers before becoming an entrepreneur. The next generation will pursue different careers moving from vlogger to coder to counsellor – maybe all of it on the same day. As work, worker and workplace all transform, we have to understand why this digital tsunami is different. All variables are changing simultaneously and at a rapid pace. The Human Resources function will need to be reimagined, not just tweaked. That’s a good place to start! First published in The Hindu Business Line. Reprinted with permission. Abhijit Bhaduri is a leading social media influencer, columnist, keynote speaker and author of “ the Digital Tsunami”. Founder of Abhijit Bhaduri associates, he has been announced as one amongst the top 30 HR influencers on social media by SHRM in 2018. Abhijit has over three decades of experience in leading HR teams across IT, FMCG and Manufacturing organisations. He lives in Bangalore, India. Prior to this he led HR teams at Wipro, Microsoft, PepsiCo, Colgate and Tata Steel and worked in India, SE Asia and the USA. He is on the Advisory Board of the prestigious program for Chief Learning Officers that is run by the University of Pennsylvania.